Not a good experience. My chicken panini tasted like fish, the coleslaw had no flavor. The bathrooms smelled horrible. We won't be back. Had reservation, and when we arrived 6 minutes before time, was told we'd have to wait the 6 minutes. There were literally zero people waiting as it was late evening. 15 minutes later we are still standing while hostess was chatting on the phone. We finally go ask, and there like "oh yeah, go on upstairs "and hands us a slip. Upstairs seating was maybe 1/4 full. Then it was long wait for average over priced food. Atmosphere is only reason to go here. 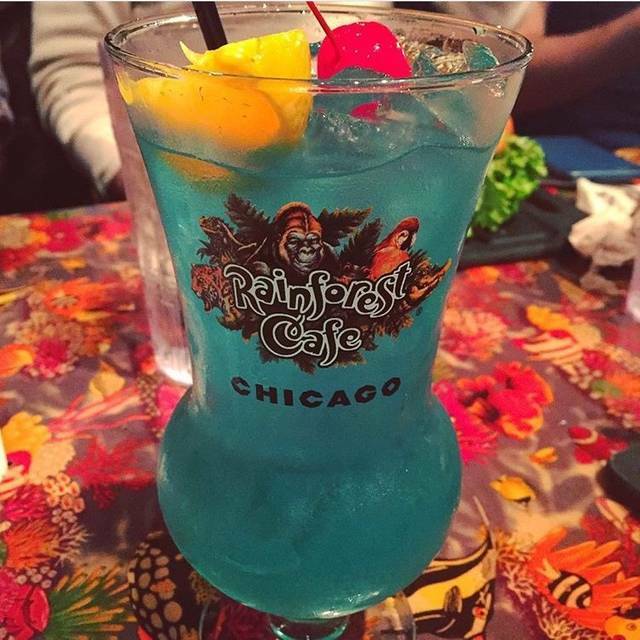 You go to Rainforest Cafe for the ambiance. Food is ok. Service was slow but I think they over-seat the servers so not necessarily their fault. Price for meals is average to high. I always enjoy the theming of the Rainforest Cafes; although this branch was fairly small it was still an enjoyable evening. Tables were inning slightly behind due to a large party, but the staff were very friendly and welcoming. Perfect treat for families. Kids love it. Excellent choices on menus. Variety. Excellent with food allergies! Our kids love to eat here and they’ve always been wonderful letting us know what is safe for them to eat. Will definitely come back! Seems like a good idea for kids but it’s really not especially after a long day in the city. Loud. Food is average. The food is not worth the money. Neither is the experience. Food was not even medicocre in quality. The overall dining experience was also not impressive and our children were not entertained. Food wasn’t good and none of the animatronics worked. Overall the whole experience was pretty terrible! The kids loved it. It was very fun to watch the animals and experience the whole restaraunt. The only thing we did not enjoy and thought did not fit the atmosphere was the pop music that was super loud we had to scream through our whole dinner. The animal noises and noises of the waterfall are what are fun to listen to during dinner, the music did not fit in. Regular dance music was playing over the nature sounds and it was out of control. We waited for our seats 30 min after resiveration time only to be seated with half the restaurant empty. The place was way understaffed and the waiter had no time for our table. It took us 10 minutes to flag down anyone to get our bill. We waited 50 min to get our food and when it arrived it was luke warm. It may have tasted better fresh but it was impressive when we received it. Not worth the money we paid for the meals. We were short on time but our server was very quick and polite! We had a great experience and will be back! Although the food was great and it's such a fun place to eat, I was a little disappointed. The service was a little slow and felt crampt in my seat. I was disappointed there were no live fish to watch. That was part of the fun experience in the past. Poor service, despite reservations. Took forever to get very mediocre food, little attention after we were finally served. We will go back, however, as the attention to my child’s food allergy was exemplary. Steak was not cooked “well done” as asked, it had to be recooked and still wasn’t after the second attempt. Customer service was pretty slow. They were friendly though. High prices for a small amount of food. Will not be returning. Reservation was later and they were able to seat us prior to our reservation. Easy to work with. SUPER COOL atmosphere but food wasn’t great. Still really neat if you have never been before. Cool experience! 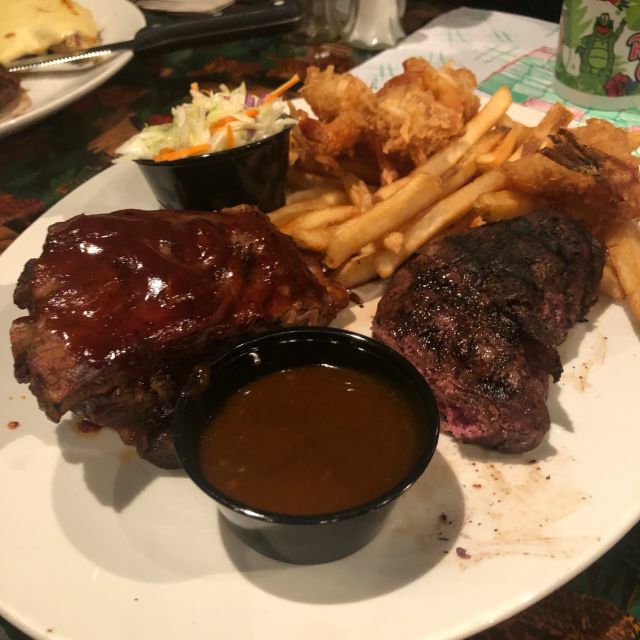 Took our 3 teenagers there on a downtown vacation and they enjoyed the food and atmosphere at Rainforest Cafe. 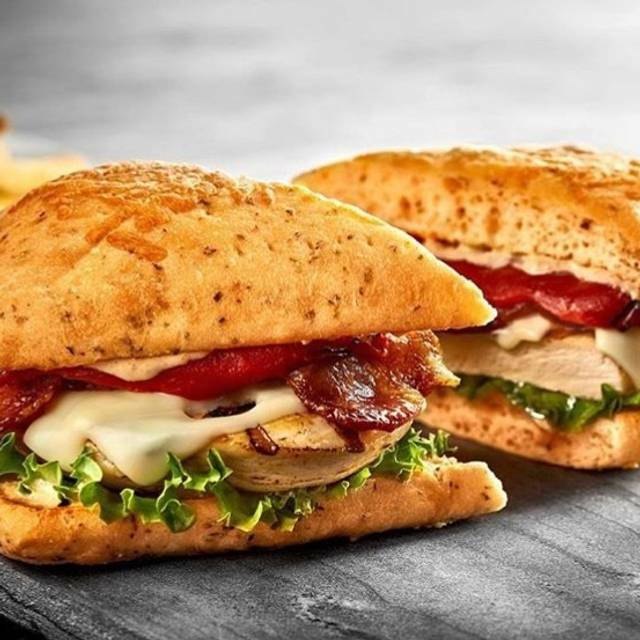 We have been to others before, but they liked this one better. Checked in at 6:05 for a 6:15 reservation. Still not seated at 6:35 so checked back with desk. Told a "problem with the iPad" caused our reservation to be pushed back an hour. We were seated immediately. Upstairs was crowded and loud. Elephants and gorillas worked fine. Ceiling was interesting. Service was extremely slow and badly paced. Ordered mozzarella sticks as manager choice app. They took almost 15 minutes and meal showed up about a minute later, delivered by an expo who didn't wait around to see if anything else needed. Server absent, had to ask a neighboring table for condiments. Never offered refills. Blue Mountain chicken sandwich was fine. Kid sliders also fine. Ahi tacos were quite good, fried veggies side was delicious. Flagged down server to order dessert and request to go box. Also had to flag down balloon twister. It is quite obvious at this location that smaller parties (we were 3) are ignored in favor of larger ones (5 or more). Hint to servers: large parties do not always equate to larger tips. Mud dessert was tasty and fun. The one thing the server was speedy on was presenting the check and processing payment. We also visited the gift shop. The clerk there was friendly and attentive. 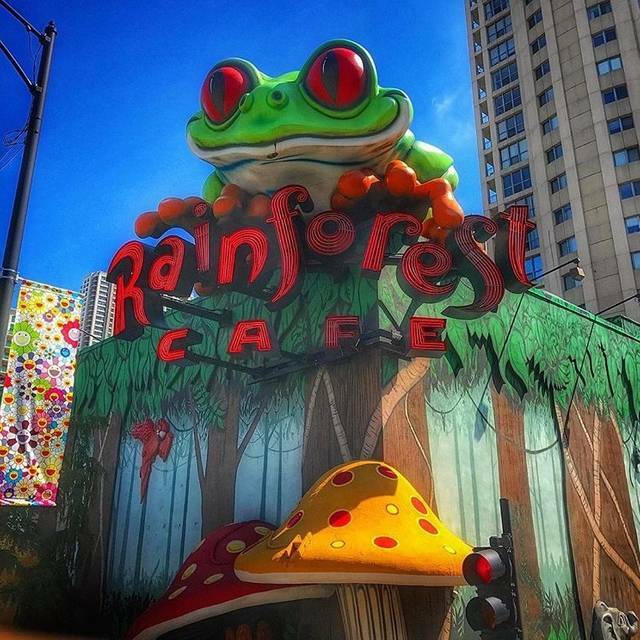 It was my daughters first trip to Chicago and the Raincorest Cafe! At 11 she loved the atmosphere! 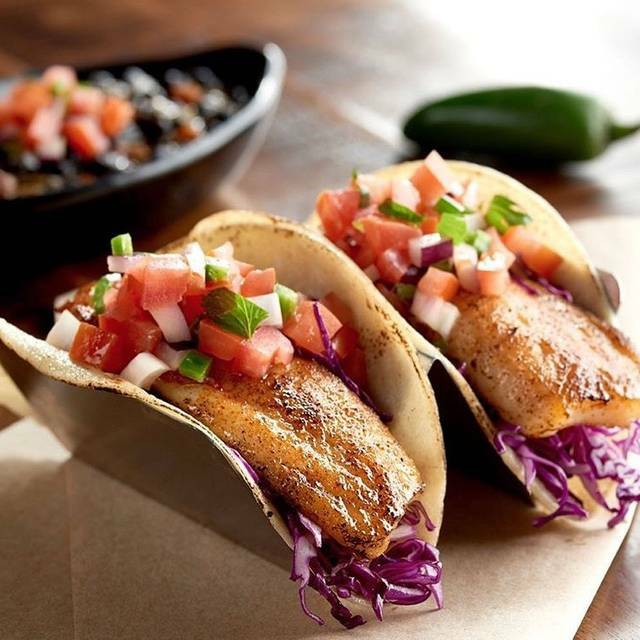 Blacked grilled fish tacos is the way to go! We had a reservation for 6:15 pm. We were not seated by 6:30 and I ask the hostess how much longer. She said there were 2 more groups ahead of us. She then called 4 more groups at which time I asked her what was going on. She finally gave me a ticket to go upstairs to be seated. Once we got to the top of the stairs to be seated, the hostess upstairs walked right by us and seated the group after us first. Once we were seated and ordered, it took 45 minutes for our food to come. When it came they brought my wife and 2 grandson's orders but not my order. I never did get my food. When the rest of our group was done eating, I told the manager I didn't want my order and he took it off the bill. He also comped the 2 kids meal which I appreciated. The food was also only slightly warm. Overall the worst experience I ever had in a rest. Meh. Not worth the extremely slow service and mediocre food. Only go if you have young kids who would be excited by the experience. Once kids are 10+, go elsewhere. I made reservations and checked in, but the uninterested host staff failed to complete our check in. Waited till 15 min after our reservation time, and then asked and was told “oops, we didn’t check you in. We’ll get you a table ASAP”. However, they kept taking other parties to tables. Once we finally got seated, we saw lots of open tables! Food was average, service so slow. Took over 2 hours to get outta there. My boys say they never want to go back. I can’t say I disagree. Too bad, it could’ve been great. The atmosphere is great. The hostess was nice but the lady who sat us was not very friendly. I asked her if we could sit closer to the “ animals” and she changed our seats. I thanked her 2x and not a word. Our server was very nice but took 15 minutes to greeet us for drink orders and 40 minutes before dinner order taken. We waited another 40 minutes for our food. It wasn’t that crowded until we left. Long wait even with reservation. Very loud. Waitress did her best with situation. Food was not great quality (dry meat and soggy fries as an example). Waited over 30 minutes for apps only to be told the GM of restaurant took ours for a training. Very expensive for what we received. They did eventually come out appetizers at waitresses request. Night in the city with my family! The staff here are so friendly and fun! We loved our hostess Daisha, our server Courtney, and big shout out to Joey for stopping by our table and sharing his magic with us! Good service and food! Hostess could have been a little pleasant. The food was good. We were seated right next to the big waterfall and it was extremely loud. We had to shout to talk to those sitting right next to us. However, our server, Robert, was absolutely phenomenal. He went above and beyond for us and made it a very special meal. He was truly a great server. Definitely will be back, thanks to him! Our server was so nice. Food was not great. Also, my sister had her wallet stolen by a table behind us. The table was sitting there for 1 hour with only water and were “waiting” for their friend. Apparently they were waiting to steal something. Which they did. Beware of your purses ladies!! Such a fun time glad they accommodated my seating request I did when I made the reservation it made the experience so much fun for our friends kids. They had never been there and now want to go back again next weekend. It is what it is—a touristy restaurant. The server was excellent, but front check in person seemed upset by customers and the table was sticky, so it didn’t feel clean. The bathroom was dirty and smelly. The restaurant smelled as well, we were so uncomfortable with the condition and state of the restaurant, that we decided to leave despite that we had already paid to park. 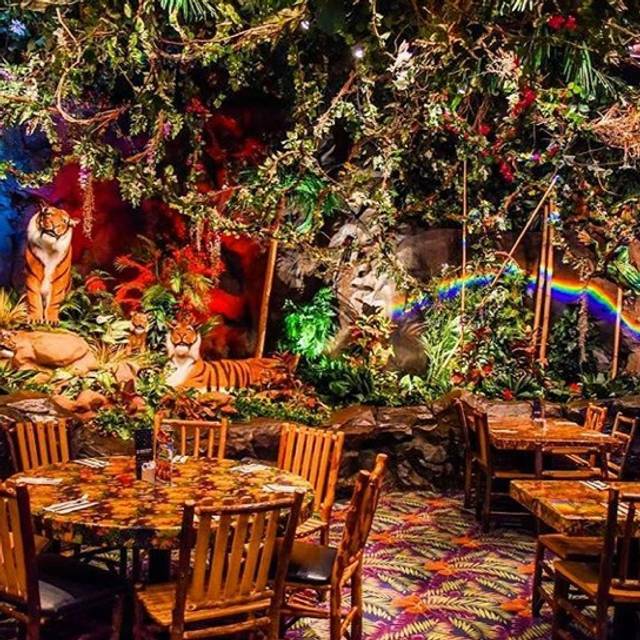 I would recommend Rainforest Cafe, with warning of rude hosts, poor wait staff (our waitress was amazing but, she had a 30 top on the other side of the restaurant) So clearly not very helpful, but not her fault. This was my son's birthday, yet they brought out a cupcake and sang for a different birthday kid, and not my 5 year old☹️. I put this info on the reservation as well! We came from Kalamazoo Michigan all the way there for this experience. To say the least I was disappointed for my son!